Today is a day I have dreamed of for a long time. I published my first book! I have wanted to be a writer all my life but just never seemed to have the time or energy. Mostly I was hampered by ghosts of the past that whispered to me that I could never write anything anybody would want to read. My lack of self-worth killed any literary efforts I might have started. I did a lot of writing in my professional career and I enjoyed it, but it was technical or informational, never the writing that would put my soul out there for everyone to see. But still the dream lingered, an ember buried deep in my subconscious. After returning from Afghanistan I retired and while I had the time to write I was so psychologically crippled all I could do was just try to survive. Luckily, I was referred to a wonderful therapist trained in Eye Movement Desensitization and Reprocessing (EMDR) a method of trauma recovery that allows traumatic memories to be processed on a rational level. By listening to bilateral binaural tones I was able to process so much of my painful past. While I will always have vestiges of my traumas, they no longer debilitate me as they once did. An unexpected benefit has been the unlocking of my creative process. Not only can I write, I have to write. My brain is full of ideas for books and short stories. I started this blog which allows me to give voice to my opinions and to provide information I hope others will find useful. 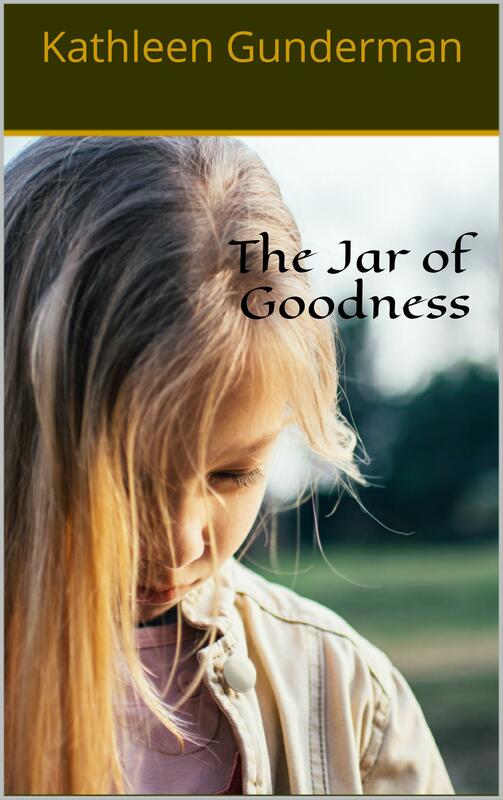 My ebook is called the “Jar of Goodness” and it is a collection of short stories that tie together to tell a story of Tad, a seven-year old girl who is looking for acceptance from her father. My blog followers may have read two stories from the collection, “The Jar of Goodness and The Bull Snake”. While I set this book in the 1950’s and it reflects my memories of growing up during that time, it is completely fictional. It was fun to recall my childhood and add elements to give a sense of place and time into my stories. My book can be found at http://www.amazon.com/dp/B00WBZSSUG/ref=rdr_kindle_ext_tmb for $2.99. If you buy it I hope you will let me know how you like it. I would welcome your feedback. I want to thank my friends and family who have supported me in achieving this dream. You know who you are and I love you. And a special thank you to Jessica Wilson, LCSW, who helped me come to know that I worthy of the jar of goodness. I am working on my second book, a memoir of my experiences in Afghanistan. It is called “Small Gifts from the Heart” and I hope to have it done by June 1, 2015. You can find excerpts from it on my Wednesday blogs. I have a third book, “Evil Lies in Wait”, a psychological thriller, that is also in the works. I am finding so much joy in writing and I hope I have many more years to explore this new chapter of my life.